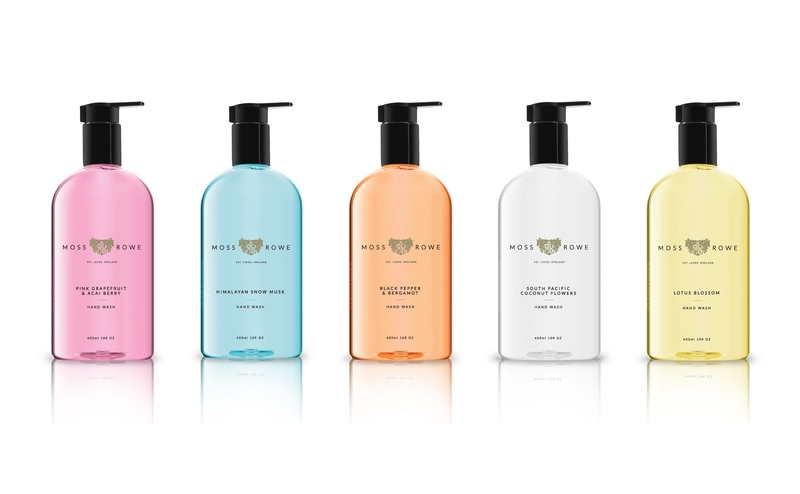 We were approached by SNG Commercial to develop the branding for its new range of luxury hand washes and moisturisers. Working with an overall regal, opulent style – to reflect the high-end quality of its products – we came up with the name Moss & Rowe for the new brand, as well as crafting an aspirational brand identity. 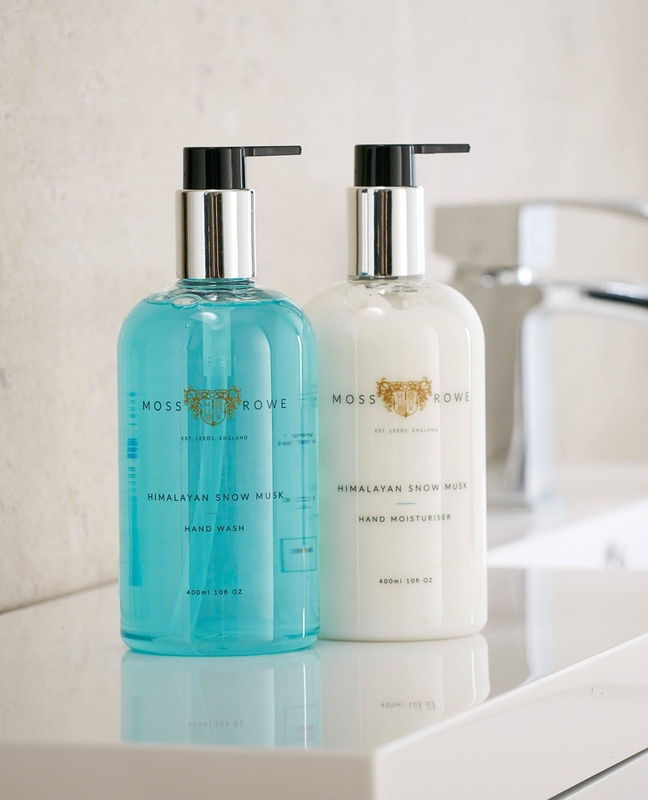 The hand washes and moisturisers are available in five fragrance variations, each of which has been specially formulated to offer instant hydration, leaving skin fragrant and soft. Taking inspiration from a host of premium brands when creating the logo, including Harrods and House of Fraser, the heart of the brand features a coat of arms-style motif, and an iconic Yorkshire rose in a nod to the brand’s heritage. 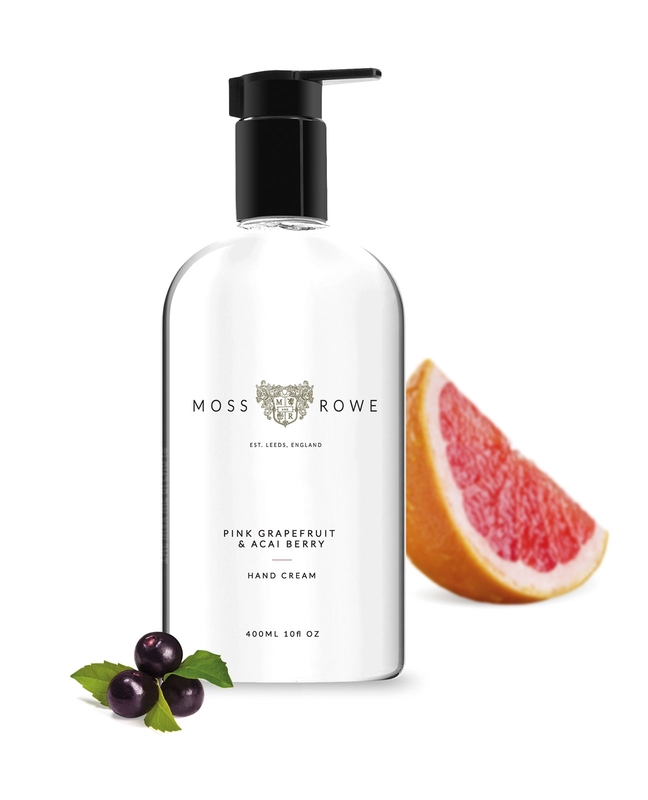 Utilising this new branding, we developed the packaging for Moss & Rowe. This centred around stylish, minimalist transparent bottles with slick, black dispensers. Once the packaging was finalised our in-house photography team shot the Moss & Rowe collection in a host of different room sets, that were all designed and built by us. These images became the focus on the new Moss & Rowe website, which was also a project that our team managed from inception. The new website uses block colours associated with each of the five different product fragrances and a simplistic font to allow the product photography, and the products themselves, to stand out. The easy-to-navigate site includes information on each of the product variants, as well as details on where the items within the range are available to purchase.